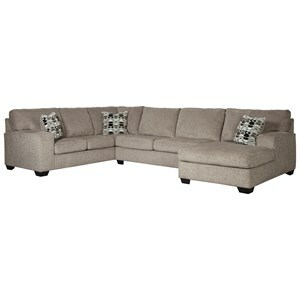 This three piece sectional sofa is built for lazy day lounging. 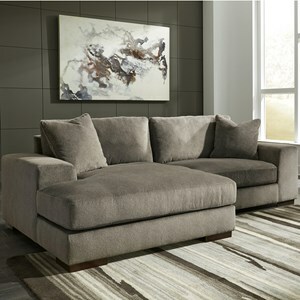 Plump, boxed t-cushion seats and backs are framed with contemporary track arms for a fashionable twist. Enhance your family room or home entertainment area with the smooth curves and plush cushioning of this contemporary sectional sofa. The Everest 3 Piece Sectional with Chaise by Jackson Furniture at Lapeer Furniture & Mattress Center in the Flint, Michigan area. Product availability may vary. Contact us for the most current availability on this product. 4377-62 Left Side Facing Section 1 101" 43" 38"
4377-76 Right Side Facing Chaise 1 45" 67" 38"
4377-30 Armless Sofa 1 75" 43" 38"
Frame Construction Solid hardwoods are used at all stress points. We use hardwoods to ensure longer-lasting, sturdier furniture. Computer cut wood parts with extra glue and stapling guarantees a long lasting framework to the sofa. Reinforced arm parts strengthen the weakest point in the frame construction with secured wood slats instead of foam. Seat Support Comfort coil seating features 15-gauge heat tempered coils provide long term support and durability. Over 50 independently active coils per seat offer uniform luxurious seating. Coil system is encased in foam and fiber for long lasting shape and comfort. Individually pocketed coils provide a quiet seating experience. Springs of 12-gauge steel in the back and heavier 8-gauge steel in the seat provide strength, comfort and flexibility. Springs are held by computer-positioned clips, a feature important for consistency and long term wear. Padding & Ergonomics Minimum 1.8-Density High Resiliency Foam delivers the comfort and contours you want, with the built-in bonus of durability. Fiber-Wrapped Seat Cushions give added softness and secured fabric fit. Blown-Fiber Backs are softer, offering less resistance, more comfort. Lean back and feel the difference! Edges are smoothed with foam and fiber padding. Careful attention is given to all edges to ensure showroom appearance. Warranty Limited lifetime warranty on frames, springs and recliner mechanisms. Three year warranty on cushions. One year warranty on sleeper mechanisms. One year limited warranty against defective material or workmanship on all other parts. 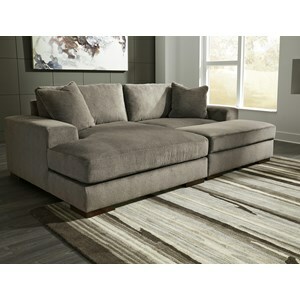 Create the ultimate in comfort for your modern home with this collection. 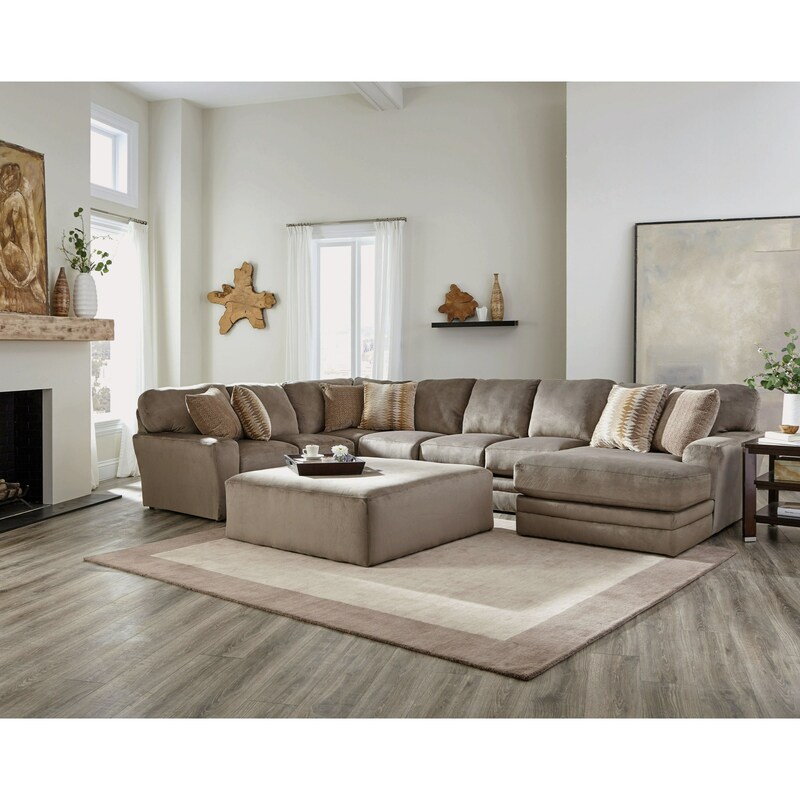 This collection offers a variety of sectional sofas as well as a cocktail ottoman, so you can find an arrangement that fits your space and needs. 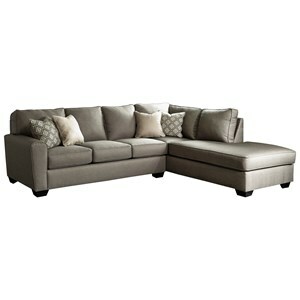 Pieces feature reversible seat cushions and transitional roll arms. 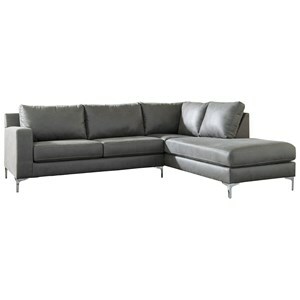 Sleek uniform lines, plush cushioning and smooth curves offer contemporary styling that you will love. 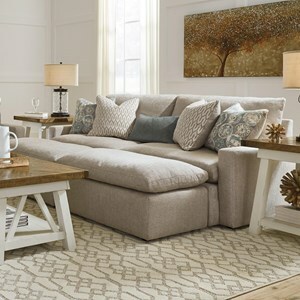 Enjoy a welcoming atmosphere where friends and family gather together with this upholstery collection. 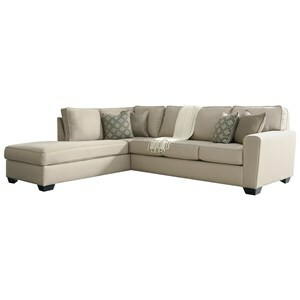 The Everest collection is a great option if you are looking for Contemporary furniture in the Flint, Michigan area. 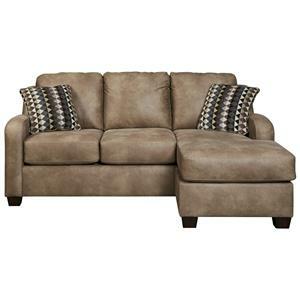 Browse other items in the Everest collection from Lapeer Furniture & Mattress Center in the Flint, Michigan area.